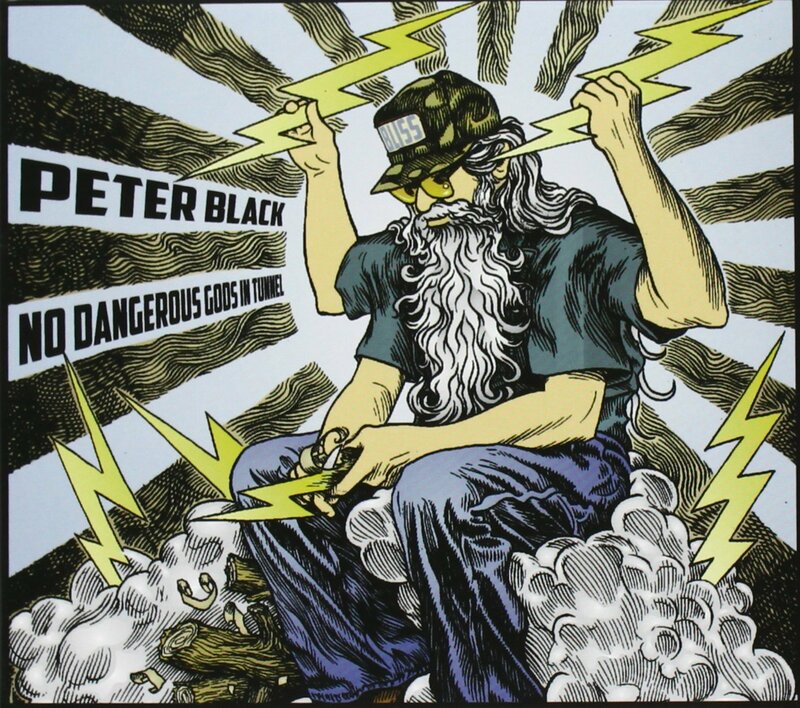 Peter Black (aka Blackie from the Hard-Ons and Nunchukka Superfly) is talking about his recently finished second solo album No Dangerous Gods In Tunnel. Hmmm, down the track he says. Meaning? Possibly that a ‘solo’ project is a totally free artistic extension that can take any shape and form. Well, good point I guess, because that’s what this album really is. “Some tracks are very VERY quiet and intimate, but not in the folk vein, as I see the acoustic as an instrument that can bring about a raw, sparse approach to melody. “And all these songs have that hoo haa I was talking about” adds Peter, leaving to get a strong black coffee, making this a GREAT time to say his goodbyes for now. Click here to purchase the Digital Album.